We are living through a gold rush. At the time of writing, Team GB has scaled the Olympic Games medal table to reach the dizzy heights of second place. We’ve dominated the rowing and cycling; there have been medals in track & field, equestrian events and sailing. More have rolled in from gymnastics and diving – sports where we were once, if not the underdog, then barely a contender. We can boast Goliaths of sport – Farah, Kenny, Trott, Murray, Ennis-Hill – sports men and women who are the ones to beat, not those who might be in with a chance. For those who remember Atlanta (one lone gold – Redgrave and Pinsent in the men’s coxless pairs), the Rio Olympics is watched from sofas around the country with a mix awe, nail-biting anticipation and a faint nervousness that we might wake up and find it is all a dream. Whatever our final position, Britain’s athletes have kindled a renewed sense of national pride. But while nobody can deny their achievements, there is one factor that has enabled and then assured success – money. After Atlanta, funding for elite sports increased ten-fold, a long-term investment that has paid off. Talent has been nurtured and enhanced with the best that money can buy. It has been estimated that each British medal win costs £5.5 million. Funding is withdrawn from sports that fail to ‘medal’. Behind the scenes, it’s a brutal business, but when a Brit wins gold, we are all reaping the feel-good rewards. Perhaps it’s easier to feel the Olympic love when Team GB is excelling? Away from the Olympics, the media are already declaring that 2016 is one of the worst years in recent times; terrorism, political instability, the displacement of millions of people fleeing war, all this and more have made our modern age seem much less safe than it was twenty years ago. And yet this exhibition of human endeavour, the greatest sports show on earth, presents the world at its very best and, for one fortnight at least, gives us all a glimmer of hope. Another year considered the worst of times was 1916. 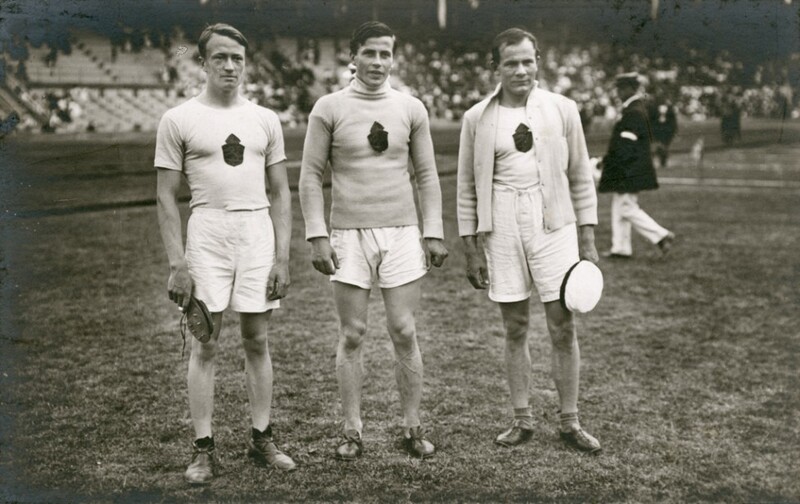 A century ago, nobody gave much thought to the Olympic Games, which would in fact have been held that summer in Berlin. Looking through our archive, there is some fascinating commentary on the Olympic phenomenon in The Bystander magazine. Launched in 1903 as a sister paper to The Graphic, The Bystander was a society magazine featuring a mix of cartoons, political satire, society gossip, travel, transport – and sport. In August 1914, just a fortnight after the outbreak of war, The Bystander was commenting on the irony of an Olympics held in Germany. ‘In the light of what is happening now it is almost comical to reflect that not so many weeks ago preparations were on foot for the holding of the Olympic Games in Berlin. I can picture the cynical smile with which those “in the know” in Germany must have watched these preparations. It is quite conceivable that they were allowed to go on as part and parcel of a gigantic scheme of bluff. We may even derive some comfort from the reflection that bad as the war is for everybody it will do sport at least one good turn by putting a stop – perhaps for good and all – to its chief bugbear. The Bystander’s unusually virulent opinion about the Olympics can be traced back to beyond the hostilities of 1914. 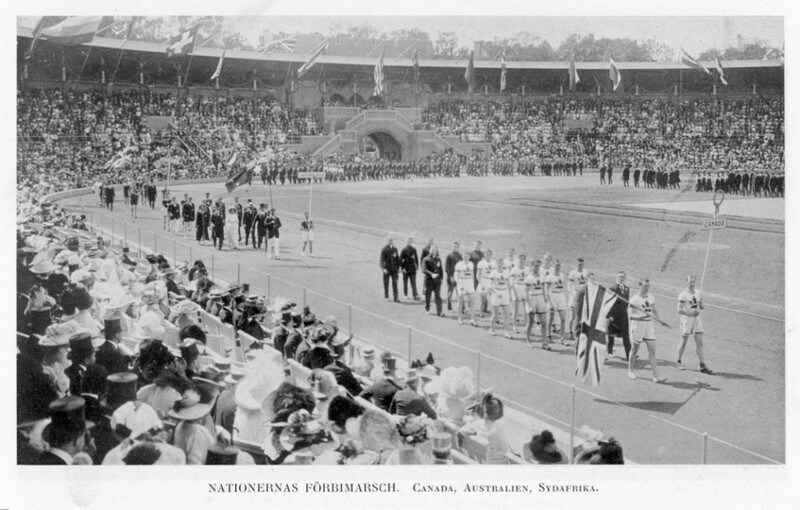 The Games of 1912, held in Stockholm, were a disaster for Britain. 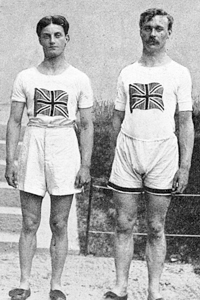 After topping the medals table at the 1908 London Olympics, bagging three times as many medals as the runner-up, the USA, 1912 saw Britain drop to third. It may sound like a good effort to us today, but USA and Sweden dwarfed Britain’s medal tally. The USA gained 25 golds to Britain’s 10. While Britain’s total medal haul was 41, Sweden won 65 and the USA won 64. What followed was a sporting post-mortem in The Bystander more akin to the football punditry we see decipher England’s failures after each international tournament today. 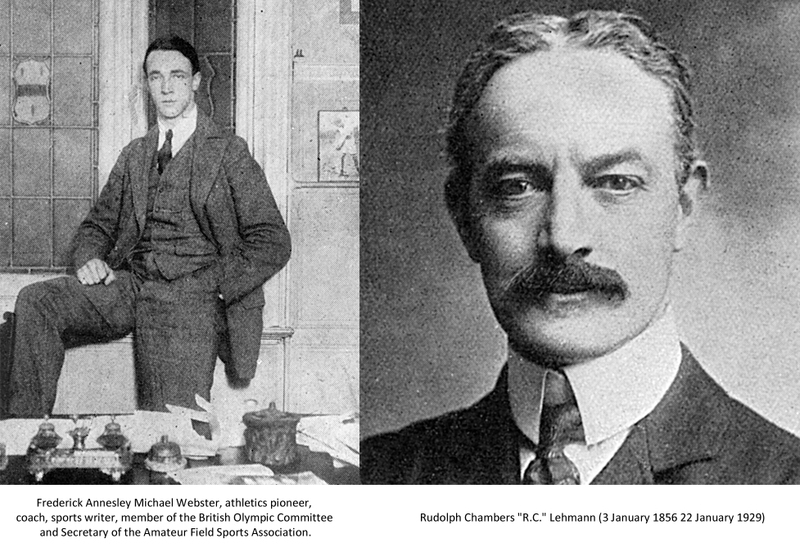 In its 12 February 1913 issue, F. A. M. Webster, Founder and Honorary Secretary of the Amateur Fields Event Association, picked apart the reasons in an article entitled, ‘Why We Failed At Stockholm’. 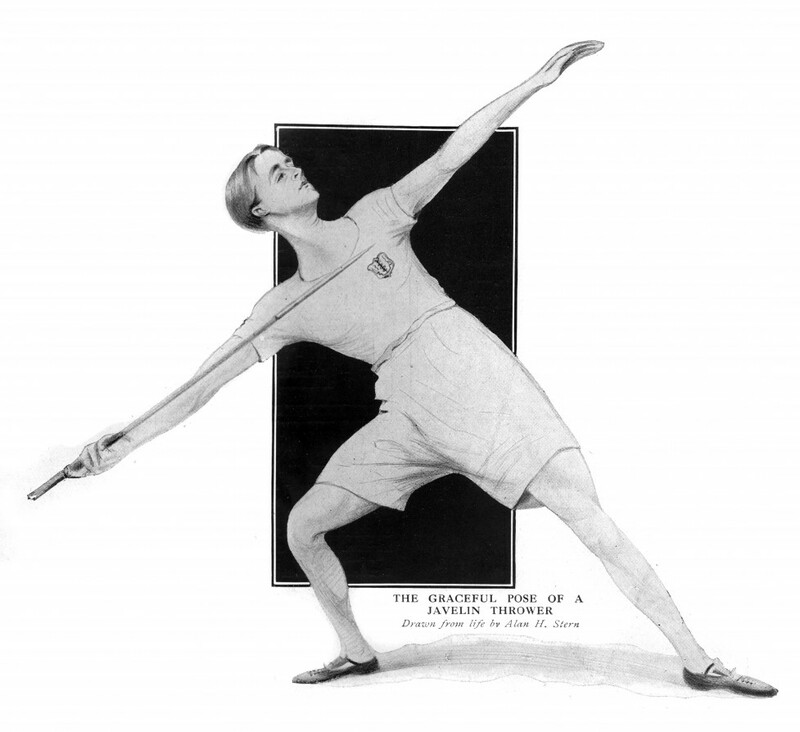 The programme of events was a major issue with emphasis on field events and the deletion of cycling (an omission that would certainly affect our medal tally today). His concerns over the Games in Berlin were tied in tightly with the belief that Germany, along with the USA, was beginning to compete with and in some instances, overtake Britain on the world stage in manufacturing and trade. The naval arms race that had been building between Britain and Germany in the years leading up to the First World War only made the restoration of national prestige via a display of renewed sporting vigour all the more essential. Britain’s closest sporting rivals were the USA, Sweden and Finland. Germany, at the time didn’t come close. Here was an opportunity to trounce the opposition and prove national potency. 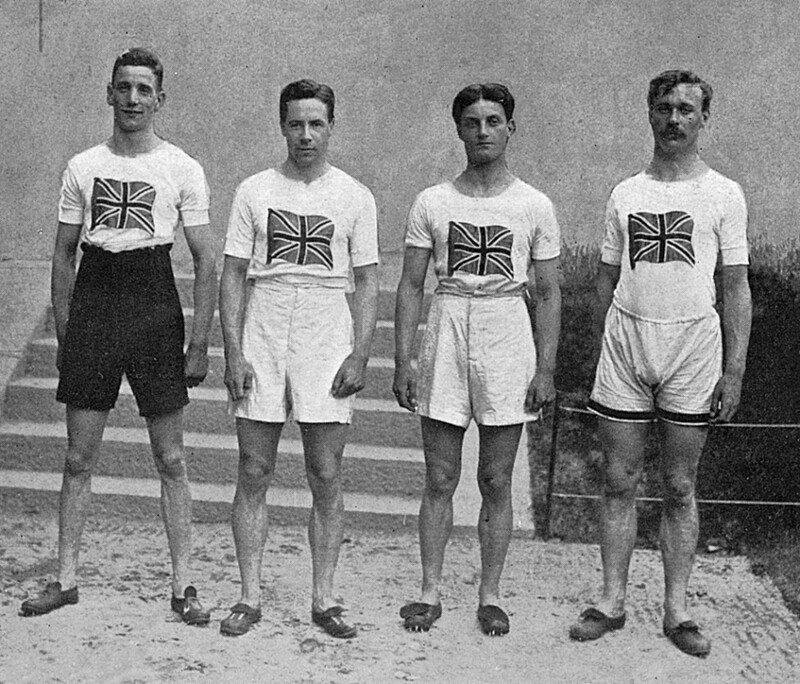 A special committee, including among others, staunch patriot Sir Arthur Conan Doyle, was formed to raise funds and steer a co-ordinated training programme for the next Olympic Games in Berlin. Several aristocrats were roped in to add their voices in support including the hugely wealthy Duke of Westminster who was nominated as chief fundraiser. The notion of a team incorporating all countries in the British Empire was mooted but eventually dropped and an appeal for subscription to raise £100,000 to train a British team worthy of the Berlin Olympics was greeted with derision in some sections of the press. The Bystander for instance, a champion of sports in which the ‘gentleman amateur’ took part, would have sneered at the idea of trying to buy victory. Others viewed specialisation as the antithesis of British sportsmanship. Being a good ‘all-rounder’ was a quality most admired. But for many, the restoration of British sporting pride was more important. The Telegraph wrote, ‘it is an affair of honour for this country,’ adding of the ‘deplorable effect’ failure would have. Nevertheless, the British public failed to support the appeal. By September 11th 1913, only £7000 of the £100,000 target had been raised. Today it is difficult to understand such apathy, especially when we know how essential Lottery funding and government grants have been in enabling British athletes to devote their time to training. But it is worth remembering that Britain’s own sporting calendar in the years leading up to the First World War included fixtures such as Wimbledon, rowing at Henley and cricket at Lord’s which were far more deeply entrenched in the British psyche than the Olympic Games. The latter was regarded by many as a new-fangled gimmick dreamt up by a Frenchman (albeit based on the games of ancient Greece). 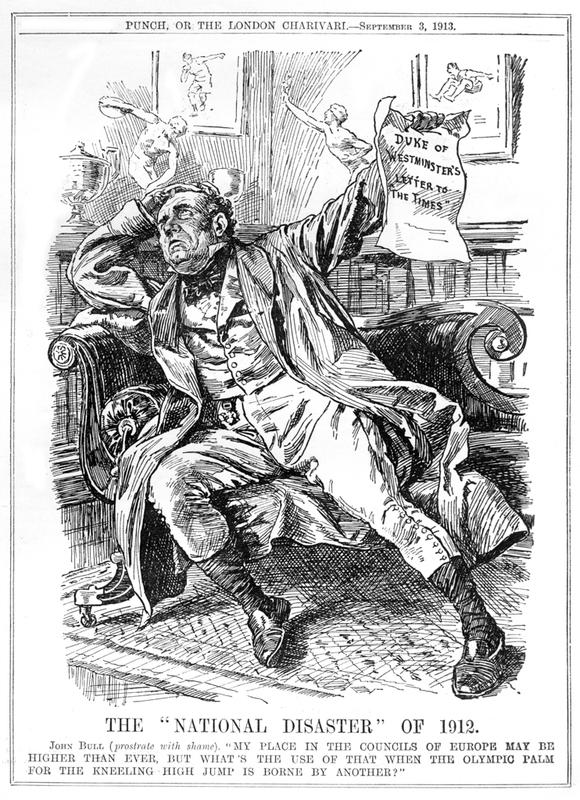 By January 1914, the Special Committee, having singularly failed in their fundraising, was disbanded. And by July that year, with the heightening crisis in Europe, it was becoming increasingly uncertain that there would be an Olympic Games in Berlin at all. Instead of proving their abilities on the sports field in Berlin in 1916, thousands of British (and German) sportsmen found themselves playing the so-called ‘Greater Game’on the battlefield. The fierce debates and efforts towards Olympic reform were rendered pointless and proving national superiority through sporting prowess had quickly become an inconsequential notion. There were bigger battles to win.